MADISON IS A JUNIOR ON THE EAST GIRLS SOCCER TEAM! 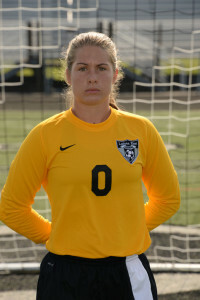 Madison was the keeper for the Thunderhawk girls soccer team this fall. At the Sectional final against West Clermont, Madison was instrumental in helping the Hawks to a 2-1 win. The contest was won by East via penalty kicks. Madison had two fantastic layout style saves in the shootout to help her team preserve the win and advance to the District Semi-Final. 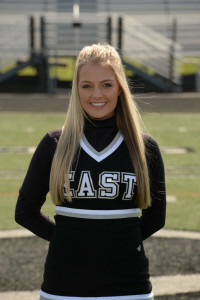 ASHLEY IS A SENIOR ON THE EAST FALL CHEERLEADING TEAM! This is Ashley’s first year on varsity. She is a key player when it comes to helping out with our youth cheer organization. She loves working with them and sharing her love for cheerleading. She is a very positive leader!! !